A large part of my son Charlie’s LEGO collection is made up of my Millennium Falcon set I used to keep up on my shelf of collectibles. One day, one of our cats (Luke or Leia) somehow managed to get up there and knock it six feet down to its demise. Not wanting to put it back together that early in the morning, I boxed it up and stashed it in my closet where, after a couple months, the cats managed to knock it off my closet shelf, shattering it again. This time my kids found it and wanted to play with it so bad. At this point, I could either withhold a toy I kept stashed next to my neckties in the dark recesses of my closet from my two favorite people, or I could decide to not be Lord Business from the LEGO Movie and let them use their imagination to build whatever they want (as long as the color scheme is mostly gray). 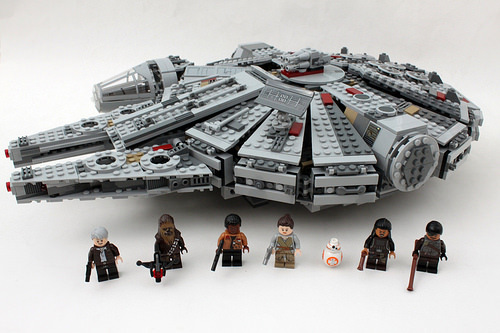 Nearly 14,000 pieces cried out in terror and were suddenly silenced. Fast forward a few weeks, my wife was talking to her dad about what to get Charlie for Christmas. She brought up how he’s recently become fascinated with LEGOs, particularly Star Wars LEGOs due to the incident described above, and how it’s really a present for both me and my son since I have to do the majority (all) of the labor. What she didn’t tell her dad was that Charlie’s favorite part of LEGO building was the post-build destruction. I mean, immediately after I finished building a Darth Vader LEGO set he looked at it, smiled, then unleashed the hounds of war. It makes sense, kids are inherently destructive, right? They aren’t malicious about it, but if you stack four boxes up and step back they are definitely going to pretend it’s a high rise and they are Godzilla. Seriously, for my two year old’s birthday, we bought 20 moving boxes, painted them like bricks, and stacked them into a wall for all the kids to bust through like superheroes. Those boxes stayed in our playroom for almost two whole months because it became the kids favorite thing to do. This got me thinking about how I felt spending an hour and half on a LEGO build that was doomed from the start. Was the time and effort worth it knowing that as soon as we finished, it would be set upon by a kid who LOVES the Hulk and wants to emulate his behavior? It also brought a vague recollection of the Buddhist practice of creating sand paintings that I later learned are called mandalas (not the adult coloring books… not that there is anything wrong with that). 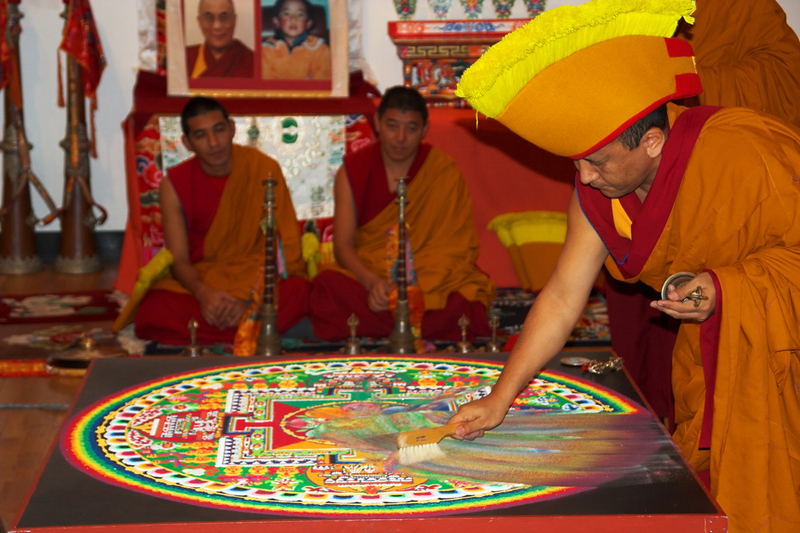 Sand mandalas are elaborate art pieces that are painstakingly created over several weeks by Buddhist monks. 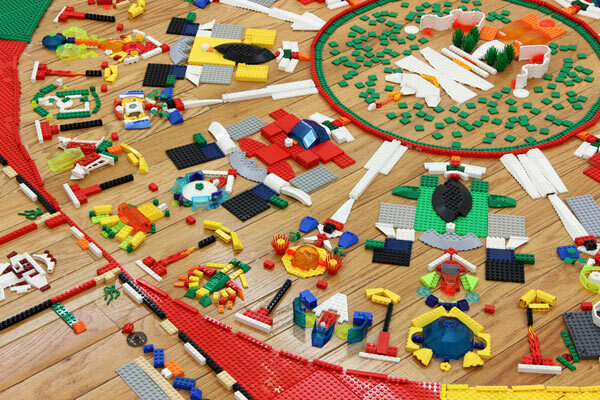 First they must lay out the geometric pattern for the mandala, and create the different color sands. Then the team of monks spend several weeks carefully creating each section of the mandala, and once completed they ceremoniously destroy it. The sand is swept up, some is given to the observers and the remainder is placed in a jar, wrapped in silk, then released in the nearest river. The point of this exercise is to show the temporary nature of life. It also encourages them to focus on the present moment instead of ruminating on the future. Join us as we unbox the “Futuristic” themed July box from Loot Crate! Lots of great stuff from Star Trek to Valiant comics! 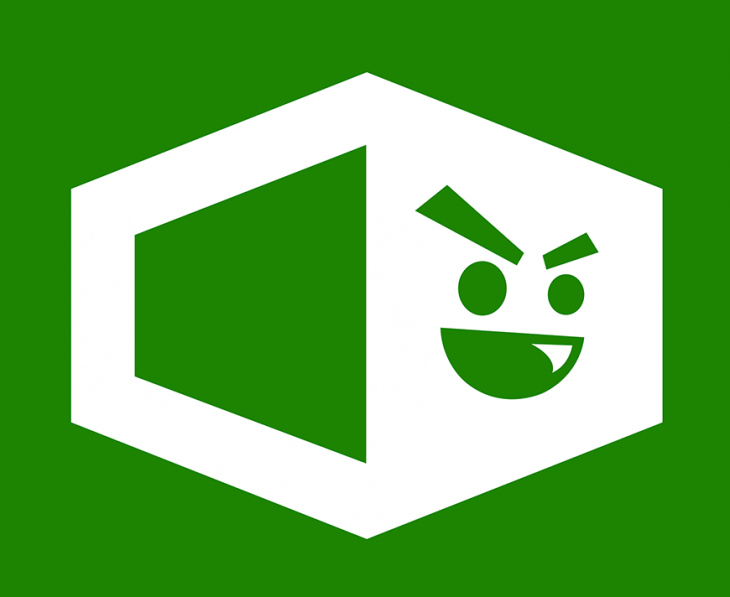 Also, check out our original Loot Crate review article here! Well, we’re launching this unboxing video a lot later than we wanted due to some unforeseen technical issues, but hey… better late than never! This was a particularly excellent 1Up box, with and exciting Survival theme, so check out our video below, and make sure to head over to 1UpBox.com to sign yourself up and get one of your own! There are a lot of monthly subscription boxes out there full of great swag for geeks and gamers, but how many of them are actually worth the price? We recently received a 1Up Box and dug through it to find out if it’s worth the roughly $13 (plus $7 shipping & handling). This is their May box and the theme was RPG. Check out what all we got in the box below, with actual pictures that we took of the items (not stock photos), and our estimated value based on what we could find comparable to each item. This is the only item in the box that isn’t an exclusive. This figure runs on Amazon for about $11. 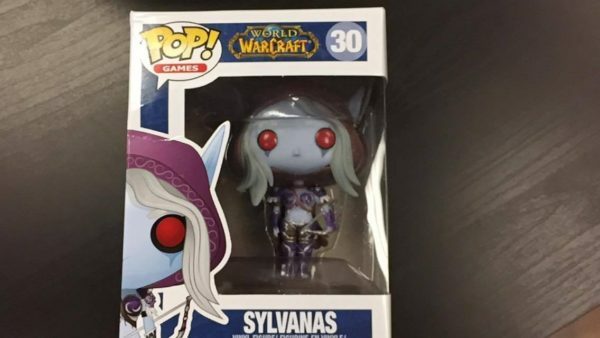 This item is harder to determine an outside value than the POP figure is, because it’s something that’s 100% exclusive to 1Up. 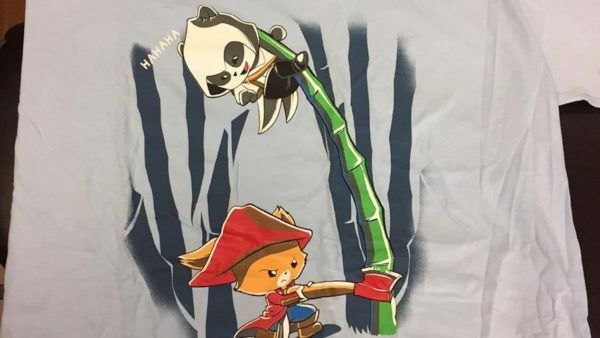 I found someone selling this shirt on Ebay for about $15, with free shipping, so that’s what we’re gonna go with. 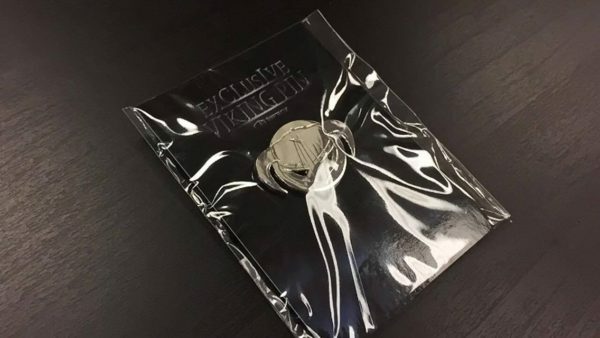 This viking pin will remind you a little of the Dragonborn from Skyrim, and I wasn’t able to find any other pins that were similar to this, but I did find someone selling this pin on Ebay for $5. You’ll recognize this as an homage to the Fallout game series. It’s stylized like the pause/save screen featuring the Vault Boy. 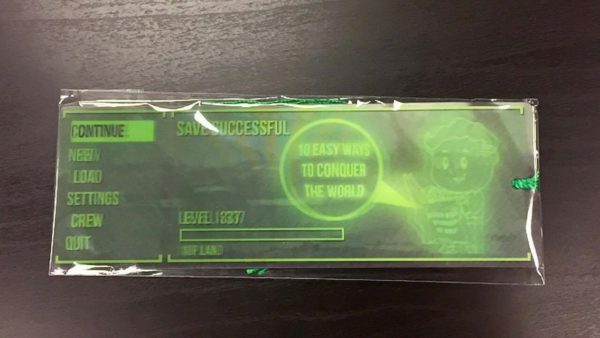 This was another one that I could not find a similar item for, but I did find this Vault Boy bookmark on Etsy for close just under $2, so since this is an exclusive I’m gonna round the value up to $2 even. 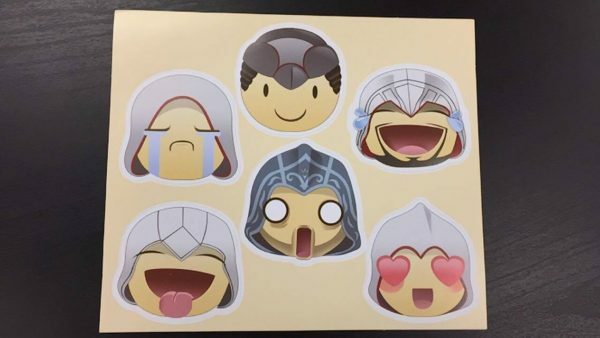 These are great, right? They just crack me up. I found these on Ebay for $5 and that seems fair considering they’re also a 1Up exclusive item. So there you have it folks. All added up, per our research, you get almost $40 worth of great stuff for only spending about $20, making it entirely worth the price. The 1Up Box theme for June is Survival so go to 1Upbox.com to get one sent right to your door, and check out our unboxing video below! When most people think about Nashville, comedy is not likely to be high in the list of things they’d associate with the Tennessee capital. “Music City”, the official(?) moniker, brings to mind country music and Gibson guitars more than stand-up and improv comedy. Well, there are two guys who don’t think it has be that way and they’re doing something about it. Luke Watson and Scott Field are the founders of Third Coast Comedy. Together, they have almost 3 decades of experience in improv and sketch comedy and they’re using their knowledge and accumen to create a space, the Third Coast Comedy Club, where other creative comedic minds can hone their skills, and where if you just really love to watch sketch and improv comedy you can do that too! Check out my interview with them below! 4LN – How did you each initially get into comedy and improv? Luke Watson: I think I’ve always been “into” comedy. Its always been my favorite genre of movie/tv shows and whenever someone asked me for a role-model it wasn’t uncommon for a comedian to be the first to come to mind. When it comes to improv, I was doing it with friends in college before I even knew it was a performance art form. I knew the show “Whose Line is it Anyway?” existed but I had no idea that there was an improv culture that existed and regularly performed at venues all across the country. When I moved back to Atlanta after college a friend of mine who was performing at Dad’s Garage Theater introduced me to an independent improv team and before I knew it I was on stage performing with them. Scott Field: I credit my family of origin! I HAD to be lighthearted growing up in the dark, depressing alcoholic fueled Central Pennsylvania town that I did. I never did theater in high school or college. Instead, my first comedy troop was made up of all the guys on the cross country teams I ran with. In my mid 20s I took some classes at improv Boston, auditioned, and then performed with their main stage cast for several years. 4LN – What, or who, would you say were your biggest comedy influences growing up? Luke: I’ve always been all across the board with my favorite comedians: Carol Burnett, Robin Williams, Zach Galifianakis, Ellen Degeneres, Demitri Martin, Jim Carrey. Then of course the SNL folks: Tina Fey, Amy Poehler, Chris Farley, Rachel Dratch, and Will Ferrell. Each of those people are on there for a different reason. Whether is was Jim Carrey’s lack of fear or judgement as he played a character at a 12 on a 10 scale, Ellen Degeneres’ and Zach Galifinakis’ ability to deliver a joke. Demitri Martin’s style. Robin Williams physicality and energy. Carol Burnett’s originality and eternal relevancy. Most of those comedians still make my current top 10 list. 4LN – You both started out elsewhere and then came to Nashville later. Was there anything in particular that drew you here to further pursue your comedy careers? Luke: I didn’t move here for the comedy–and didn’t move here for music, either. I moved her to be closer to my sister and brother. But then the improv ‘itch’ started and I couldn’t help but get back into it. I started with a local troupe and shortly thereafter decided to start LOL Nashville and focus on long-form improvisation (going back to my Atlanta days). Scott: My career has been in teaching, not comedy. What drew me to Nashville was the lifestyle and affordability. The city has been very open too and it’s supportive of my own comedic interests. 4LN – What do you say to people who are unconvinced, or surprised, that Nashville has such a thriving and evolved comedy scene? Luke: I’d say they’re not getting out of the house enough. The fact is, its getting to the point where its hard to not notice it. There is literally some form of comedy performed on any given night of any given month in this city–often times several opportunities on the same night. Live comedy has taken a presence in every corner of this city from bars and music venues, to coffee houses and restaurants. Once the Third Coast Comedy Club launches it will be hard to find someone who is unconvinced that the comedy scene here is thriving. Scott: I would say that I am not surprised. Unless you know someone directing or doing shows, or really look for a comedy, it is in fact hard-to-find. Overtime that has been less and less the case. With our venue, it will be impossible NOT to find comedy with a local flavor in the local cast. 4LN – You’ve launched a Kickstater project to help get your comedy club off the ground, but it really is so much more than just a typical comedy club. Can you tell us about Third Coast Comedy Club and your vision for it? Luke: Our vision in one word can be summed up with: community. Whether it be the sense of community involved in the conception, production, and casting of shows to the stage design and bar atmosphere, this club will be the place that local comics will not only want to produce their shows or grab some stage time, it will also be a place where they’ll go to grab a drink with other comedians or go to write the last pages of the script for a sketch their working on. What makes me so excited about the club is the vision for the shows. Third Coast Comedy will be different than many other comedy clubs in that it won’t be dedicated to just one form of comedy. We will regularly have sketch, improv, stand-up, comedic plays, variety shows, experimental shows, etc. It will be nice for someone to have what may seem like a crazy concept and have a chance to try it out in an actual theater. Scott: This will be, simply put, a venue designed for improv and sketch comedy produced by people who live in Nashville. We want audiences to be able to easily find us, enjoy their time at the club, and return again and again because of the positive vibe, comfortable, welcoming feel, and funny shows. It has to be a fun place to be for people buying tickets and for people performing. We really want to encourage people to take nutty ideas and bring them out into the world. We are going to be the birthing center for local comedy, and that means there’ll be a placenta, but we’re comedy doctors, so we’ll clean that up. Natural comedy birth, so no epidurals. Sorry. Luke: That’s very tough. But I’m gonna have to go with Zach Galifianakis, Live At The Purple Onion, even though to my knowledge its only on DVD and was never made into a CD album. 4LN – Where’s the best place to eat in Nashville, and what’s the best thing to get there? Luke: Hattie B’s. Great hot chicken–just be careful. They’re not messing around with their hot sauces. Seriously. I won’t even go beyond the Hot. Honestly, I normally get the medium. OH! And don’t forget to save room for their Banana Pudding is ah-mazing. Scott: I love Batter’d N Fried. A lot. I’m a veggie, so I get the veggie sushi and beer. I also consume Boston Red Sox games as the place is modeled on a Boston pub. 4LN – What was the last concert you went to? Luke: When I go out to listen to music its typically to hear a local band play. I think my last concert was almost a year ago (can’t believe its been that long!) at Bonnaroo (which by the way, Mumford and Sons killed it). Scott: Neil Young a few weeks ago at Ascend. First time there. Awesome! Luke: Well, you’ve done it again…making me narrow a lot of great options into one answer. And you’re right, there’s a lot of them. But I’d say Dusty Slay. He’s got an original brand and his material is solid and polished. Check out his “Makin’ That Fudge” album. You know its good when you’re still laughing when listening the third time around. Scott: I like Brad Pendergast (Brad Edwards). He’s so impatient and miffed and dirty. It’s a nice combination. Plus, he tries to spill hot coffee on me sometimes which is so funny. Luke: When it comes to humor, Deadpool would be a great option. But I think Iron Man would be a great improviser, as well. His ability to make something from very little and without any preparation. Also, I love his sarcasm. Scott: Groot, from Guardians of the Galaxy. I want to send a huge THANK YOU to Luke and Scott for chatting with me! Make sure that you check out their Kickstarter campaign and please seriously consider contributing, especially if you live in or around Nashville. If you’re interested in supporting Third Coast and you also happen to be looking for something to do this weekend, check out this awesome fundraiser show at 12th & Porter on Sunday night! If you are anything like me, sometimes it can be hard to stay focused at work. If you work on a computer all day long like I do, it can be mentally exhausting to do the same thing day in and day out. Over the last few months I have been fortunate enough to be able to leave my beige-walled cubicle and start working from home at my real job, which has been fantastic. For the most part I’ve been able to stay around the same level production-wise, but I was expecting to be able to get more done now that I am away from my colleagues that like to stop by and talk, or the over-the-cubicle-wall talk about the Jackson 5 or listening to older ladies discuss Miley Cyrus (both of which happened occasionally). It didn’t take long for me to realize that the distractions found at home are way better than those found in the nondescript cubicle farm where I still go one day a week. I had to set up my desk in the bedroom because the only extra room in the house was between the living room and play room, and I didn’t feel like getting pummeled by our three year old who thinks he’s both a Ninja Turtle and a Power Ranger every five minutes. You know what else is in the bedroom? A bed, a TV, whatever books I am currently reading, and a window to the world outside (mostly a view of my shed, but what can you do). That is four things I never had to worry about at work. The only TV we have at the office is in the basement and plays the Andy Griffith Show and the Price is Right on and endless loop and at an unbelievable volume. Seriously, the show choices and the insane volume is like being at my Granpa’s house when I was a kid. My production at work hadn’t dropped per se, but it wasn’t where I wanted it to be. I needed something that could get focused on my work, while also staving off the constant cycle of burnout. The interestingly named Pomodoro technique is a productivity system that promises to help you eliminate distractions, avoid burnout (burnout is a major drag), and create a better work/life balance. The user sets a timer – Francesco Cirillo, the founder of the technique, used a Pomodoro timer (a kitchen timer that looks like a Pomodoro tomato) hence the name – to alternate between periods of intense focus on work and complete separation of all things work related. Generally, before setting your timer and starting your first Pomodoro, you set up a “To-Do” list of things to accomplish, and work them in order of priority. Once one item is completed, it is checked off the list and the next item becomes your priority. Now let’s get into the system itself. 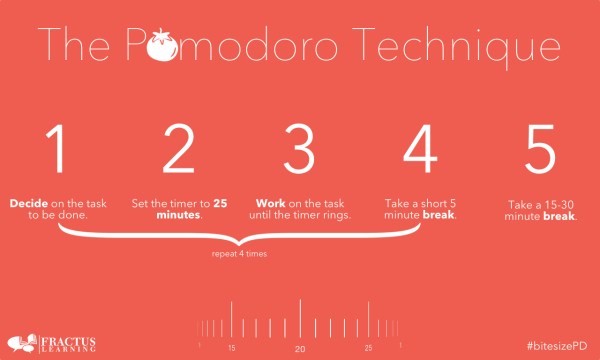 Each Pomodoro takes 30 minutes total – 25 minutes of work and 5 minutes of play. After all, “All work and no play makes Jack a dull boy.” (is that reference still relevant? I assume people still read and/or watch The Shining). Once you complete your 25 minutes of focused work, a check mark is made on a notepad, and you are now free to do something completely separate from your work, whether it be a walk, stretching, straightening up the house, or, I don’t know, finally thinking of that witty comeback you wish you would’ve said to Gary last night… but seriously, spend 3-5 minutes completely disengaged from your work. After the break you reset the timer and get back to work. After four Pomodoro’s you then give yourself a 15-30 minute break. “That’s a lot of breaks! ?” the middle-manager in you might say. Here’s the thing, since your 25 minutes are meant to be hyper-focused on work, you are actually likely to get more done than you would were you just to do your normal routine of interspersing work with browsing the internet, going to get coffee, or catching up with the few colleagues that you actually enjoy being around until you get your fifteen minute break. I have only been using this technique for a week or two, but I can go back and look at my production levels and there is a significant difference between by pre-Pomodoro work style. I was honestly surprised by the amount of improvement between my already decent numbers and my productivity using this system. Please note: I am not trying to Billy Mays you into trying this technique. I am legitimately interested in what works, and, as of now, this technique is on fleek (I have no idea if I used that right… I am dreadfully boring). It also appears that the technique delivers on its promise to manage burnout and eliminate distractions, as far as I am concerned. Knowing your next break is always less than 25 minutes away makes it easier to keep your mind on the task at hand. It also helped me eliminate my random Facebook/Google News browsing, because it’s easier to convince yourself to block out those distractions knowing you will get your chance when you are in your 5 minute work hiatus. Throughout my Pomodoro trial run, I’ve noticed a significant increase in my focus and production, while experiencing a marked decrease in pretty much all of the common distractions found in both cubicle land and at the work-at-home office. If you are interested in working smarter and increasing your output, while still getting time to mentally reboot and feel refreshed, the Pomodoro technique is definitely for you. If you decide to give it a go you can get more details at their official website here! Let us know in the comments how this technique works for you if you decide to try it out! If you’re reading this then you already know that the brilliant and beloved Alan Rickman has passed away. Reports say that Rickman lost a battle to cancer and peacefully went to that big Nakatomi Plaza in the sky. For most people from my generation, Rickman will always be most fondly remembered as Severus Snape, the brooding and intimidating Hogwarts professor with a reluctant and unassuming heart of gold. For the people just above my generation he’ll always be Hans Gruber, the cunning and ruthless German terrorist who helped introduce us to the best blue-collar action hero the world has ever seen, John McClane. And since everywhere else you read about the wonderful life of Mr. Rickman will likely only focus on these two roles of his, I’d like to talk about a few of his other fantastic work. The first time I remember seeing Alan Rickman was in the Kevin Costner Robin Hood: Prince of Thieves film. As a kid, I LOVED that movie. I used to watch it all the time. As an adult, I realize… Costner maybe isn’t the best Robin Hood. However, Rickman’s portrayal of the despicable but humorously exasperated Sheriff of Nottingham is still one of the standout performances in that film. The Sheriff is a jerk, but Rickman almost gets you on his side for brief moments, due to the way you almost relate to his frustrations. That’s what Jesus said. Yes, I had to tell him. And you can imagine how that hurt the Father – not to be able to tell the Son Himself because one word from His lips would destroy the boy’s frail human form? So I was forced to deliver the news to a scared child who wanted nothing more than to play with other children. I had to tell this little boy that He was God’s only Son, and that it meant a life of persecution and eventual crucifixion at the hands of the very people He came to enlighten and redeem. He begged me to take it back, as if I could. He begged me to make it all not true. And I’ll let you in on something, Bethany, this is something I’ve never told anyone before… If I had the power, I would have. That fell very heavy on me, and I’m convinced that no other actor could have inserted the intensity and emotion into it that Rickman did. The man was a master of his craft. Immediately following Dogma, Rickman joined the ensemble comedy, Galaxy Quest, which has become something of a cult-classic in nerd culture. His portrayal of Alexander Dane, a true thespian who’s resentful that his most notable work is as “Dr. Lazarus” on the cancelled sci-fi show for which the film is named. He again, doing as Rickman did best, plays a very hilariously frustrated character, who doesn’t want much. Just the respect that he feels he deserves. 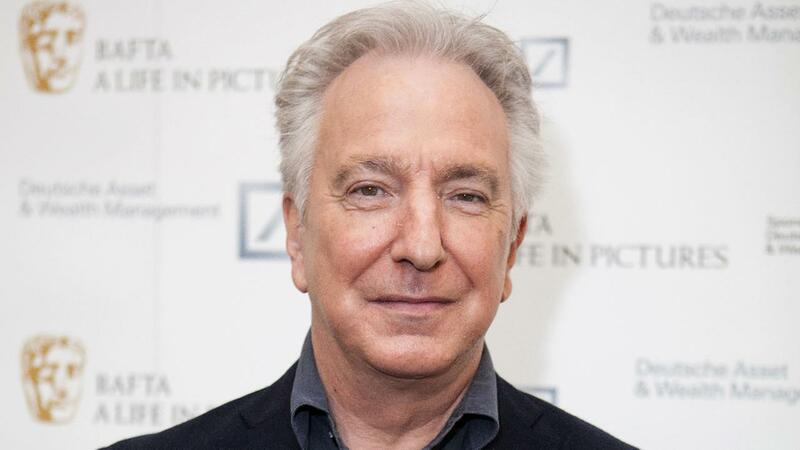 Rickman plays Harry, the director of a design company who becomes gradually seduced by his secretary, as he drifts further and further away from his wife, played by Emma Thompson. Their interactions in the film become more and more difficult to watch as you see his whor… I mean… his “lady of the evening” secretary persuade him futher and further into an unseen, but clearly not imaginary, affair. He painfully captures the sincerity of someone who knows what they’re doing is wrong but keeps doing it anyway. The layers that exist in that character are, in my opinion, the most complex ones to be found in a film that, arguably, has more depth than you think it does. You can thank Alan Rickman for that. Alan Rickman was a truly brilliant actor. He could be menacing in ways that would make your skin crawl, but he could also make you laugh out loud with his dry and slightly bitter sense of humor. He could seamlessly flow from drama, to action, to fantasy, to comedy, and even do all four at once if need be. No role was too small that he couldn’t make it the most captivating performance you’d see in that entire film, and no role was too big that you’d tire of him. His artful presence will be sorely missed. It’s the New Year, and that means everyone is either psyching themselves up to try to make themselves better people, or busy telling everyone they can find that New Year’s Resolutions are pointless. Sure there is some middle-ground in there somewhere, but it’s pretty slim. For me, my hope is to become more content with where I am in life, and quit looking to the next step. One thing that is becoming more and more common in our society is something called “status anxiety.” Status anxiety is fear of being less-than because others around you have more. I definitely see this trait in myself, and I am working hard to fix it. After reading a few books on the subject, I became bored with the droll, nonfiction accounts of status anxiety and began my semiannual reading of The Lord of the Rings. It’s funny how different mindsets play in to one’s interpretation of what they are reading. While reading the introduction there exists an almost total antithesis of status anxiety in the story’s lore. Sometimes the best advice we can find is that found in the stories we love. I find that pop culture, in general, allows us to explore different ideals with more clarity than most give it credit. Now, obviously there is a strong sense of epic mythological adventure in The Lord of the Rings – there is a reason that it is one of the most popular fantasy series out there – but I want to look at something a little smaller in scope — both literally and metaphorically. For today’s article I’d like to look at how the simplistic lifestyle of the Hobbits might help inform us on how better to live our lives, especially in the always-connected, hectic lifestyle in which most of us find ourselves. Both The Hobbit and The Lord of the Rings center on the adventures of Bilbo and his nephew Frodo, and through these books we can get several glimpses of Hobbit culture. Outside of a few notable outliers, two of which were just mentioned, the Shire-folk tend to value the simple things — good stories, good food, and good friends top the list — while more adventurous endeavors and loud behavior are generally frowned upon. Really, besides the Sacksville-Bagginses, we see very little covetous behavior in Hobbit culture. In fact, it appears that their lack of status anxiety is the key reason Frodo was so resilient to the pull of the One Ring. Sméagol immediately covets the Ring, going so far as to kill his good friend to obtain it, and then spend the entire story trying to rebooting his precious, where Frodo’s immediate reaction is to reject the Ring and give it to Gandalf. “The excesses of Hobbits,” David Day notes in Tolkien: a Dictionary, “were limited to dressing in bright colours and consuming six substantial meals a day.” In fact, it appears that Hobbits that preferred to wealth above all us are generally considered assholes — looking at you, Sacksville-Bagginses. There also exists in Tolkien’s tales a sense of technophobia, meaning that the heroes often work in concert with nature, while the villains use more advanced technology to destroy nature and to create twisted versions of natural things; Orcs, for example, are thought to have once been Elves that were twisted into unnatural, evil creatures by Melkor, the villain of The Silmarillion and Sauron’s master. We see a stark difference between the lively Shire with the fire and destruction of Mordor and Isengard. Full disclosure, it would be hypocritical of me to say that I am a technophobe – after all, I am writing this on a laptop listening to Pandora on an Xbox One – but in a culture in which we can be continually connected to everything everywhere, maybe we could use a chance to unplug occasionally. The Hobbits frequently go on long walks, enjoy good books, and like few things more than a good meal, a good beer, and a table of friends. It’s a running, albeit irritating and ironic, trend on social media to portray society (especially millennials) as completely absorbed in our devices. I wouldn’t go so far as to say completely absorbed, but I know that I am guilty of checking my News Feed or reading articles when I could be enjoying the company I find myself with. One of the most pervasive examples of Hobbit culture throughout The Lord of the Rings is that of Mr. Samwise Gamgee (who we’ve already argued is the true hero of The Lord of the Rings). His loyalty to his friends is the only reason he leaves the Shire, and the whole time he’s gone he looks forward to being home. Even after seeing the splendor of Rivendell and Lothlórien, Sam dreams of a simple life in the Shire. This shows that one can appreciate the courage and goodness found in epic stories, even to the point where it stymies one’s own courage to face unexpected fears (like Shelob, spider-child of Ungoliant), but still find the joy in time spent with good food, beer, and friends. The holiday season is in full swing and while you’re out rushing around buying gifts for all your loved ones, remember that there are many less fortunate people out there who won’t be having such a full and joyful time. 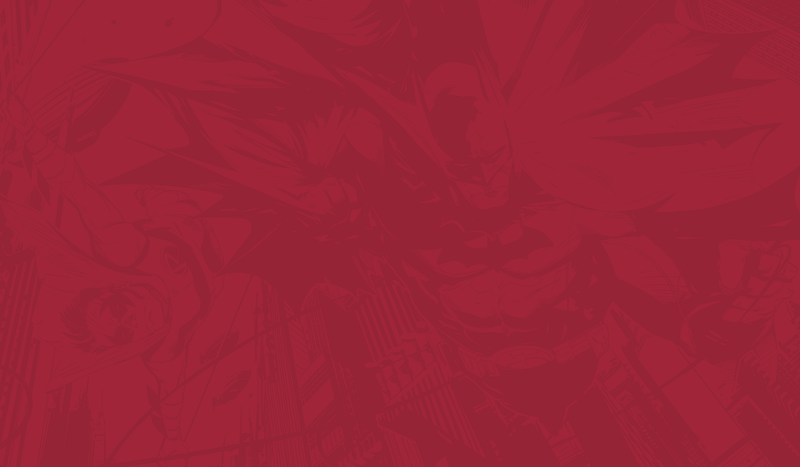 For this reason, our goof friends over at ComicCollectorLive.com have kicked off their annual Christmas Fundraiser. 100% of the proceeds from this fundraiser will go to purchase toys for the children of Vanderbilt Children’s Hospital. They have close to $800 at this time, and with only 10 days to go, it’s gonna be really close hitting their goal. Come on nerds! Get out there and help some kids have a holly jolly holiday!